The adage “nothing lasts forever” is as true in dental work as it is in life. Dr. Salivonchik wants your custom dental restorations to endure for the long-term, so he uses state-of-the-art techniques and the most durable and esthetic materials available. For example, we place composite resin fillings instead of metal ones and use leading-edge materials such as e.max porcelain for crowns that look beautiful and function as natural teeth. 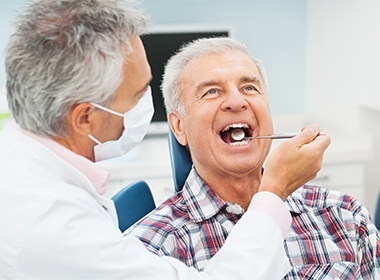 You play an important role in encouraging the longevity of your dental work, as well. 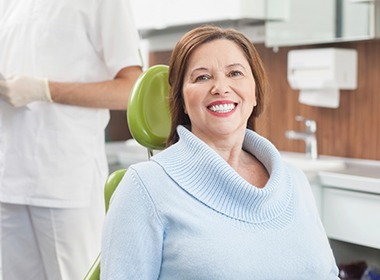 Attending regular checkups and hygiene visits and incorporating effective oral homecare contributes to the durability of dental implant restorations, custom crowns, porcelain veneers, and other cosmetic and restorative solutions. We encourage our patients to seek treatment for conditions such as bruxism (teeth grinding), jaw joint problems, and gum disease – dental offenders that wreak havoc with oral and overall wellbeing if left untreated. Gum disease is linked to serious health complications and can decrease the quality and length of life. 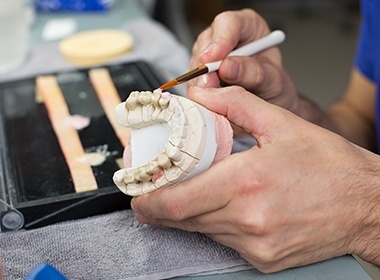 The degenerative wear and tear of dental clenching and grinding not only wears away natural tooth enamel, but also destroys dental restorations and negatively impacts the fit of prosthetics. When bite misalignment occurs, discomfort arises throughout the body and requires additional restorative treatment to correct the damage. Dr. Salivonchik wants patients to realize that most dental restorations have a finite lifespan because the mouth is a wear and tear environment. He feels strongly that realistic expectations should exist before treatment is initiated. It is true that by using the best materials, the best labs and meticulous technique, today's dentistry should last for several years. At the same time, conditions such as those described above can necessitate repair or premature replacement. Traditional dentures need relining to compensate for the jawbone loss that occurs over time. Dental implants may last a lifetime but require proper professional and home care. We want your smile to function comfortably, look naturally beautiful, and last as long as possible. As your dental healthcare advocate, Dr. Salivonchik will work to create your best smile, and make it last.